Our story is not a traditional love story. There was no "eyes met across the room" moment, no singular detail in time that would lead one to believe we would fall in love. Our paths came from very different directions, and through fate, we found each other - just at the right times in our lives where this unlikely pairing could work. Most family and friends know we worked together in the Washington D.C. metro area for a number of years before our romance blossomed. Through that time we first developed a mutual professional respect for one another, respect that remains an important foundation in our lives as a couple. Over the years, as we spent more time together, we became friends, and confidants - the next layers in our foundation. So when we are asked, "what was your first date", we hesitate to answer, because we didn't have a typical first date, we had many. And at what point do you realize you are falling in love with this person you are sharing dinner with? We have been a couple now for long enough to appreciate what we have, a deep bond which continues to grow. We decided to take a road trip to Ottawa, Ontario, Canada over Christmas in 2016. We stayed at the beautiful Fairmont ChÃ¢teau Laurier which is next door to Parliament Hill. On Christmas Day we took a walk around the Parliament of Canada. It was a beautiful sunny day with sub-zero temperatures. On the back side of the parliament, overlooking the Ottawa River, Neal proposed. Unfortunately, it was so cold we had to quickly slip the ring on my finger and then bundle back up before running back to the hotel to celebrate with sparkling ice wine. 1. Hire a planner to help you sort through all of the information and guide you in vendor selections. Since I was planning from afar, it was wonderful to have Soiree 99 on hand to provide vendor introductions, to make recommendations, and to help find the common elements in all of my Pins and Instagram likes. 2. Have honest and direct conversations with your partner to determine what is important to each of you for the wedding. Then, have that conversation with family and friends, as needed. Don't feel like you need to do something because of its tradition or because it is expected. Have the wedding you and your partner want, not one that you feel that you should have for someone else. 3. Know that everything will not go according to plan. Let it go, and then learn to laugh about it as quickly as possible. 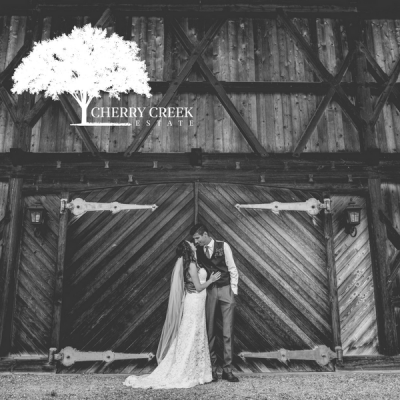 We encountered a few unexpected incidents at our wedding and looking back, it made for an even more memorable day and a good story.